Men working in Port Chicago in the 1940s. If it's true that history repeats itself, what becomes of the stories left out of its archives? 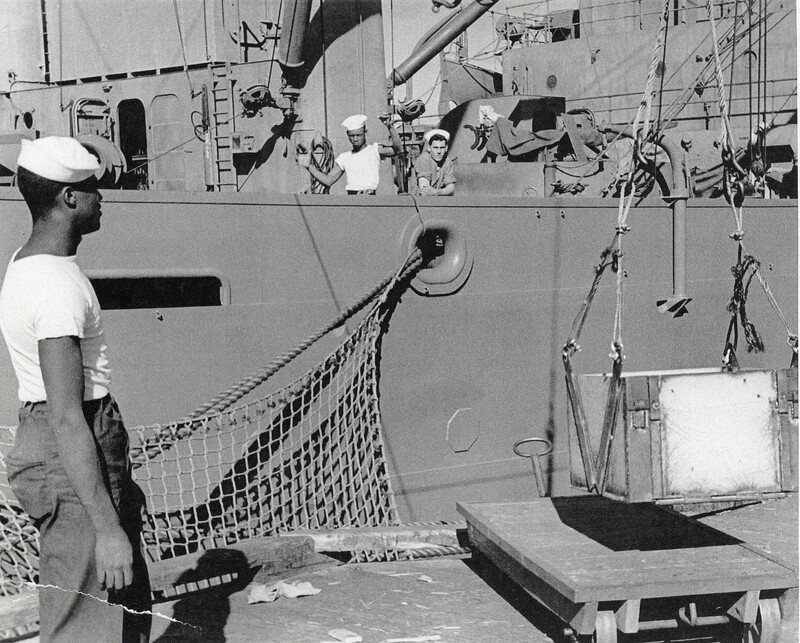 On July 17, 1944, in a port 30 miles north of Berkeley, 50 African-American sailors, tasked with loading dangerous explosives onto two munition ships, called for a work stoppage on the grounds of unsafe conditions. What resulted was a series of explosions that claimed the lives of 320 seamen and a charge of mutiny against the 50 men by the United States military. Dennis Rowe Entertainment is bringing this unbelievable and true story to the Birel L. Vaughn Theater in Berkeley. Co-written by David Shackelford and Rowe, Port Chicago 50 is based on interviews with the surviving sailors’ relatives and extensive archive and online research of that day in Port Chicago. How is it that you skipped that page in your high school American History textbook? You didn’t. Port Chicago 50 is a chance to make it right.